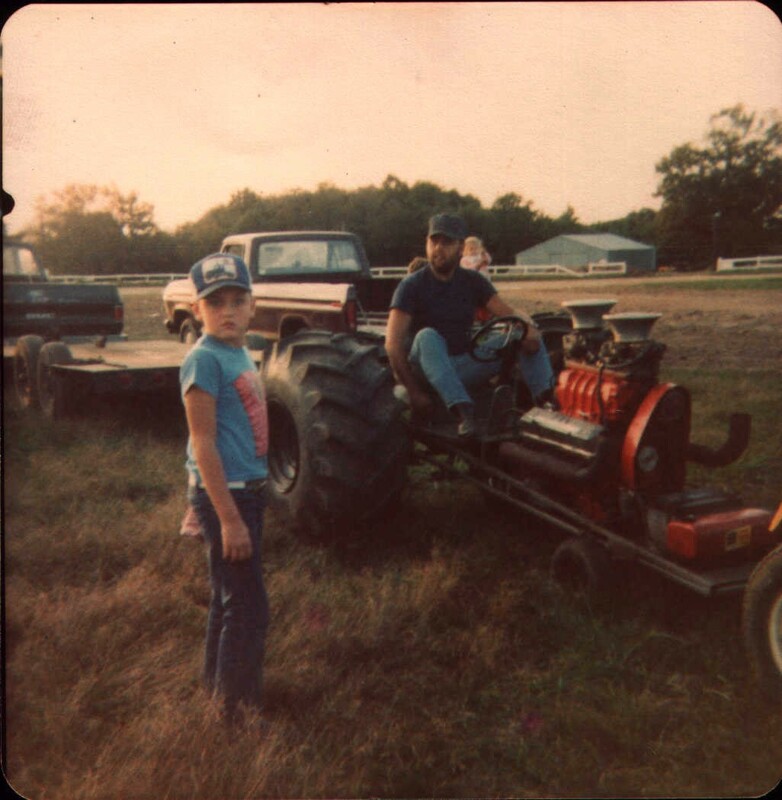 The Prewitt Pulling Team actually started on October 5th 1968 My Great-Uncle Hank Prewitt started pulling his 35 Massey Ferguson all over the state of Kentucky. That is where my Dad got his start. Well this went on for several years, but for some reason this was not enough power to satisfy the early Prewitt Pulling Team. So, Hank went to the drawing board, in the late 60's. From the drawing board came the first ever Twin-Engined HOTROD built in the state of Kentucky. 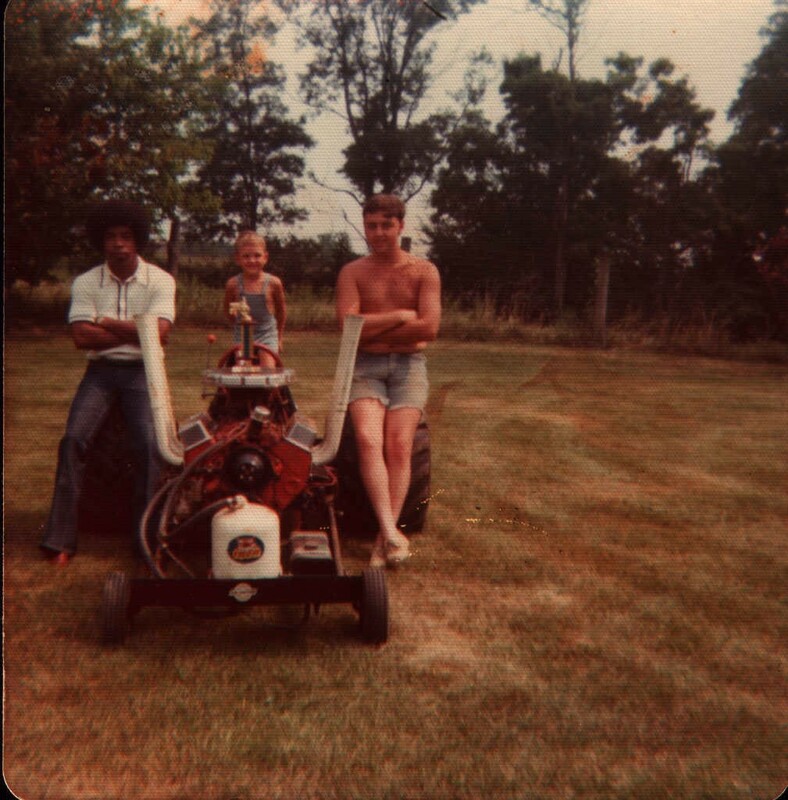 This is also where I got my start, the photo below was taken in Feburary 1972, we had just returned home from the National Championship Tractor Pull in Louisville. I was about 7 months old. 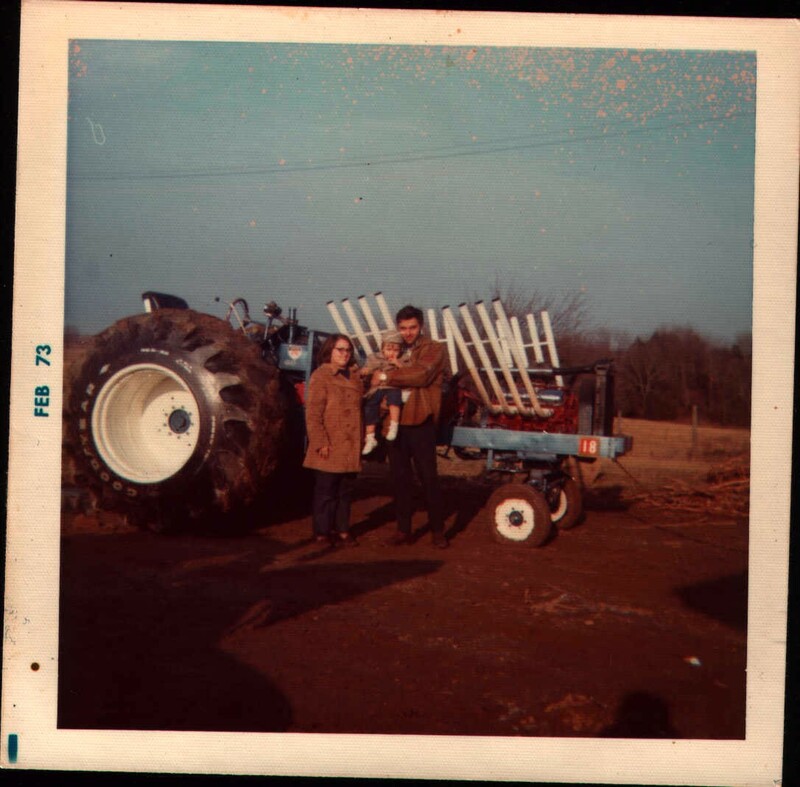 The tractor below with Dad on the right and James Wooten on the left. James was a good friend of the family and traveled with us to all the pulls, and did a lot of driving. That is me standing in the seat. 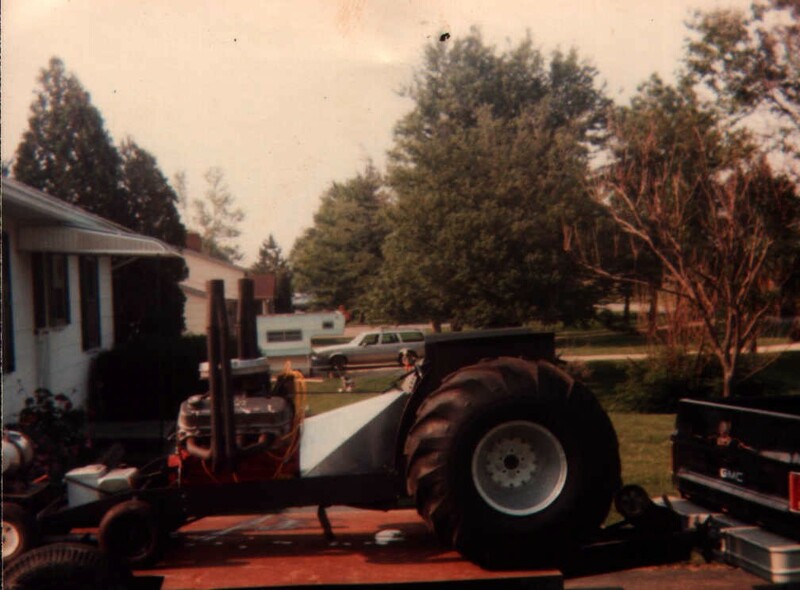 The tractor above is when Dad experimented with a Supercharger. It did not work out real well. 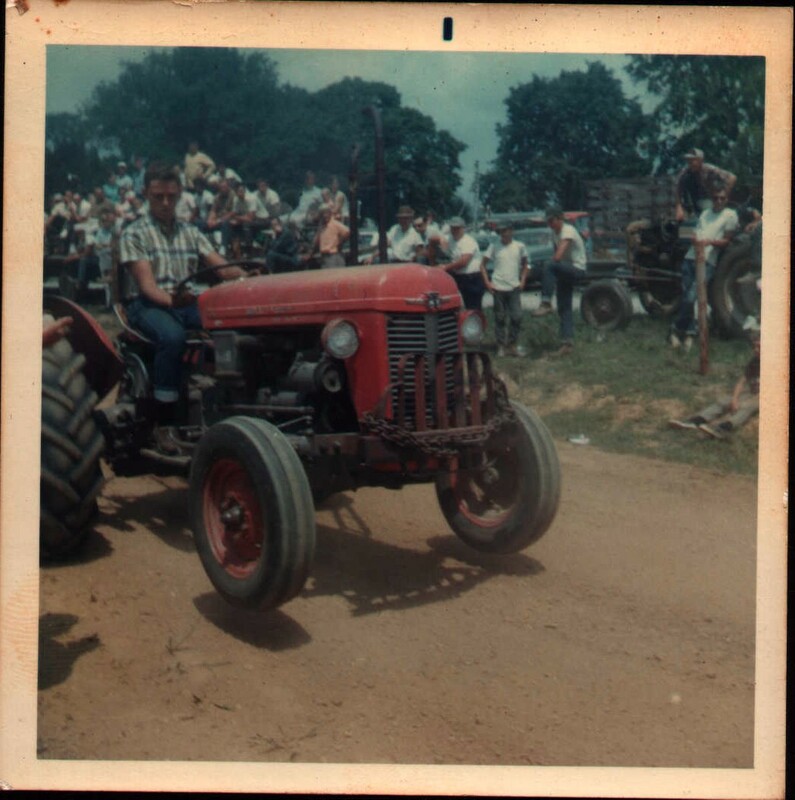 Dad quit pulling for a few years, then built the tractor below, it had a Big Block Chevy that came off the Twin Engine HOTROD in the beginning. He ran it a year or two. 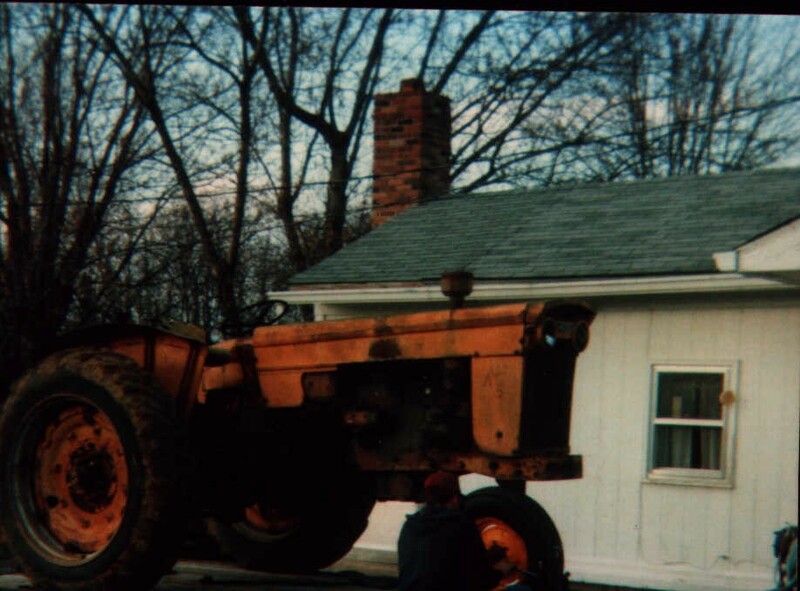 The tractor above is the 1st tractor I built myself, with a lot of help from Dad. Below is what we started our Farm Stock Pulling with in 1990. 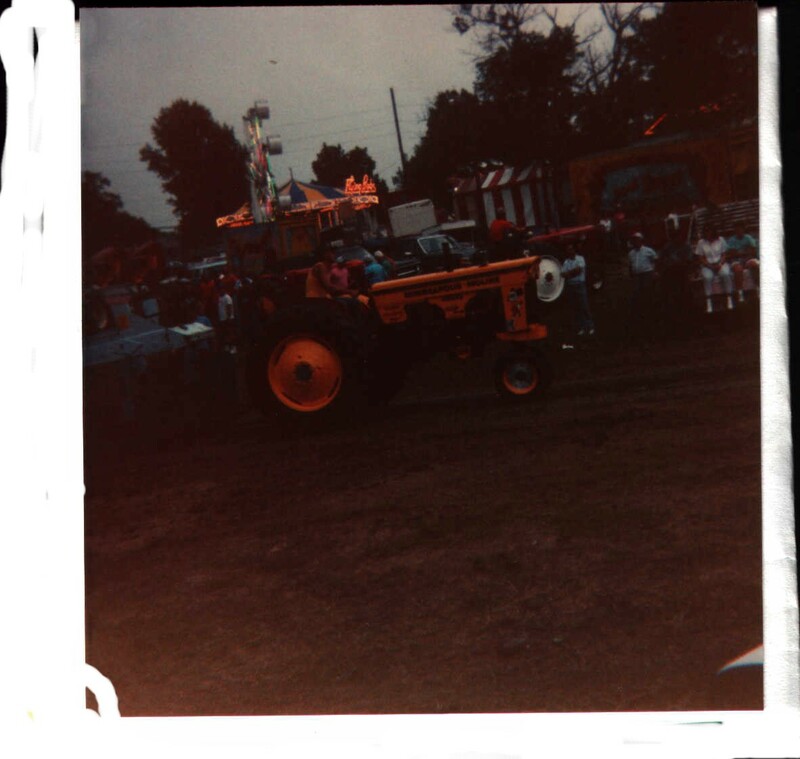 The tractor above was our first Farm Stock Puller when finished. 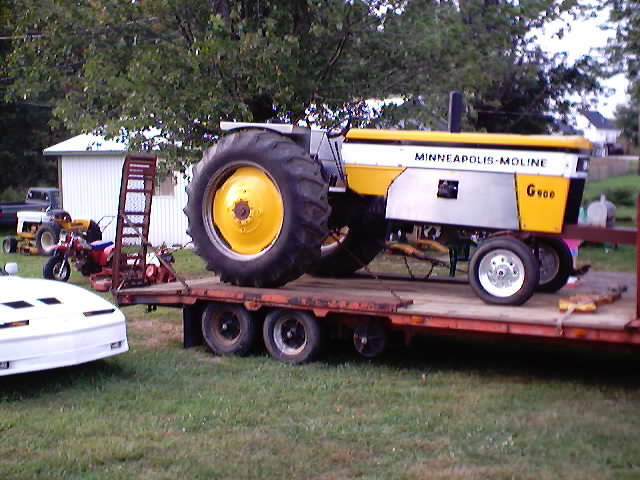 The tractor below is the Modified Stock edition that we just finished the 2003 season with. My brothers Aaron and Andy are doing all the pulling of the big tractor. 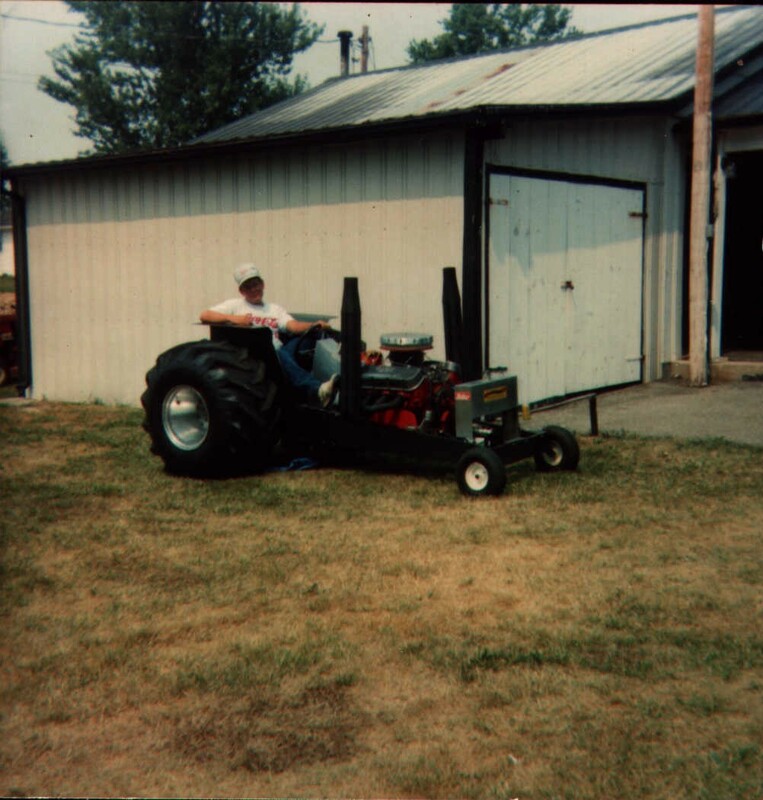 I went fully into Garden tractors, but my brothers help me and I try to help them as much as possible.The 2004 season brings a new challenge to all of us. The Modified Stock Class that Dad and my Brothers have been running has been done away with so they either build Super Farm or an Economy Hot Rod. They have not made up there minds. I have dropped down in wheel size to beat a person I have been competing against for the past 20 years.